Former Burnley defender Clarke Carlisle was attempting to take his own life when he was hit by a lorry in December, he has revealed. Carlisle told the Sun newspaper he had been left severely depressed by the end of his football career, financial problems and the loss of a TV punditry role. The 35-year-old left hospital on 30 January, six weeks after being struck in North Yorkshire. "This was my lowest point," he said. Carlisle, speaking on Time to Talk Day, which aims to raise awareness of mental health issues, was chairman of the Professional Footballers' Association between 2010 and 2013 and remains on the PFA's management committee. Born in Preston, he started his career at Blackpool and made more than 500 appearances for nine clubs in a playing career that spanned 16 years, finishing at Northampton in 2013. Carlisle was airlifted to Leeds General Infirmary following the 22 December incident on the A64 Leeds to York road. He had suffered cuts, bruises, internal bleeding, a broken rib and shattered left knee. On Christmas Day he was admitted as an in-patient to a psychiatric unit in Harrogate before his release last Friday. He said he had reached "an epiphany" that he is "incredibly unwell". "I ventured out of my room not as Clarke the ex-footballer, but as Clarke, a mental health patient," he said. "That was the first step in my road to recovery." Carlisle faces a charge of failing to provide a sample after being stopped by police on 20 December - just two days before his suicide bid. The first footballer to appear on Question Time, Carlisle has previously spoken out about depression and suicide in professional sport and presented a BBC Three documentary on the subject. In the interview, he said his wife Gemma had seen a "steady decline" since he left Burnley in 2012. "I missed a sense of belonging, a sense of worth and value in life," he said. "You see someone in the street and they'd say, 'didn't you used to be Clarke Carlisle?' I laughed the first few off but after a while it eats at your core." Carlisle's wife Gemma has published a series of updates on her husband's condition on Twitter since the incident. On Wednesday night she tweeted: "Clarke and I thought very long and hard about this over the last week and feel that as you all supported us so immensely through this ordeal you deserved the truth. "We also want to highlight and create understanding for a lot of issues and feel it would be hypocritical of us to say nothing." 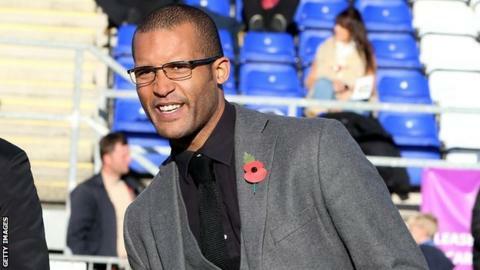 Marjorie Wallace, chief executive of the mental health charity SANE, said: "We admire Clarke Carlisle and his family for speaking openly about his depression and his fight for recovery. This will encourage many thousands of others who will be experiencing despair in silence and without help." Samaritans can be contacted by phone on 08457 909090, via email or you can find the details for your local branch here. Click here for information on mental health issues from BBC's Action Line.